The Shape of Water received the most nominations (7), so it automatically becomes the front-runner. It has enough praise and momentum to take it all the way, but the crop of films here are fairly excellent. Any of these films could sneak up and take the award. My personal choice is Dunkirk. Even if it isn’t my favorite film of the lot, it is the most well-crafted, cinematic experience out of the five. Of course, my personal take means nothing. The Shape of Water is the safest bet out of the five, but only by a hair. Three Billboards probably would have fared better in the Musical or Comedy section than here, but it still has a chance. Dunkirk is the farthest in the minds of HFPA voters unless they decided to rewatch the film. The Post is probably the most traditional choice out of the five, and having names like Spielberg, Hanks, and Streep don’t hurt its chances. I don’t know, this category is kind of a toss-up right now. Just go for The Shape of Water. Or don’t, who cares. Get Out kind of got the short shrift this year. Sure, it is a radical awards season choice given its genre, but if any movie is going to break the boilerplate Oscar mold it is a social satire with essentially universal acclaim. That both Get Out and Lady Bird were snubbed in Best Director, likely due to the fact that it is Peele’s and Gerwig’s directorial debuts, seemingly hurts both films’ chances. Still, they are the best films of the bunch, and none of these films landed in the Best Director category. 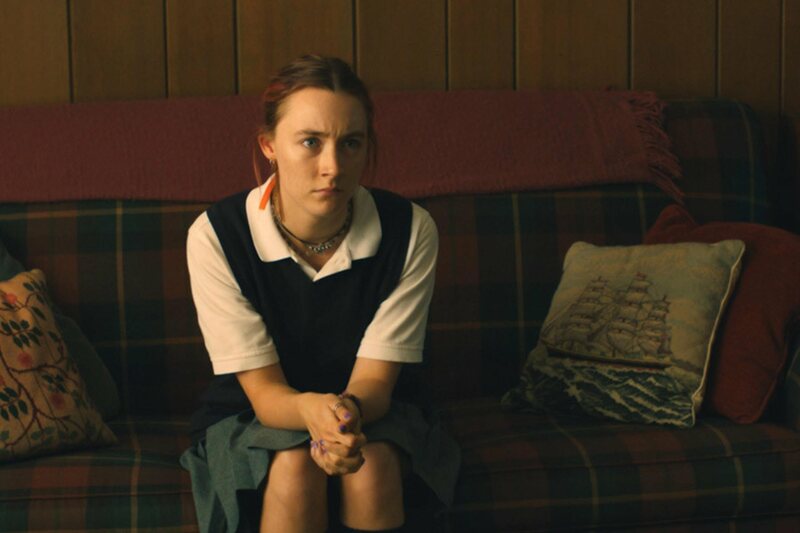 Lady Bird, in particular, has paved a great path for itself given its acclaim. For now, I would put it as a coin flip between Lady Bird and Get Out, with Lady Bird being the slight favorite. Any of the other three winning would be a substantial upset.